As many of you know, my knees aren’t very happy when I bend them. Years of repetitive strain and playing basketball left me with no cartilage in my right knee from multiple surgeries. I’ve changed sports now to something that reflects my lifestyle and still allows me to compete at something I’m good at. 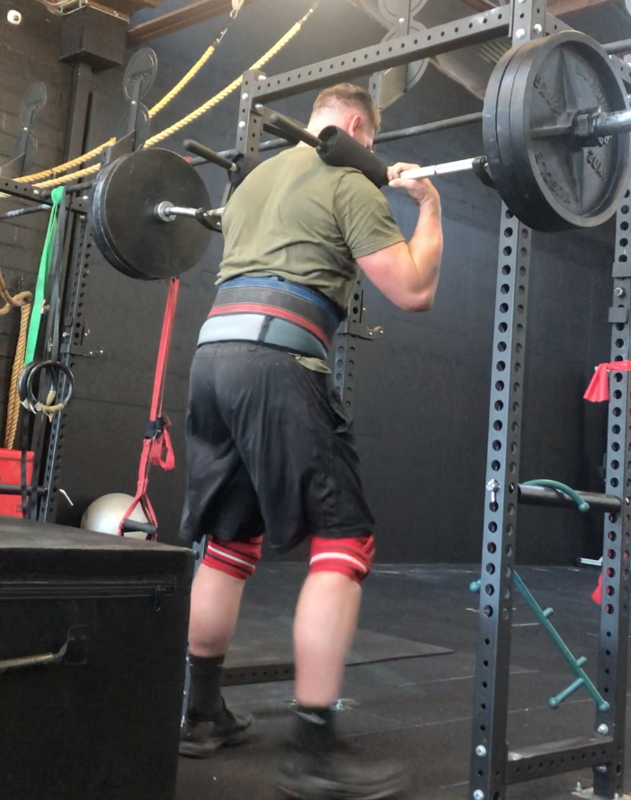 I’ve always struggled with squats, but with a focus on mobility and movement, I’ve been able to improve my abilities a lot. It’s taken me a long time to figure out what works for me, but now I’ve been at it for a while, I feel like I know what works best. I am a big believer that you should aim for perfection, however of course, this mightn’t be possible for everyone (or anyone? ), but that doesn’t mean that the constant pursuit to better oneself is not a worthy goal. I’m always looking to get better at everything I do. I’d like to see a stiff and tight spine, with externally rotated shoulders and hips, with dorsi-flexed ankles and maximal contraction of the lats and abs. There should be incredible amounts of intra-abdominal pressure built up on the inside by the trainee holding their breath, and vision should be locked onto a fixed point in space. The ankles, knees and hips should then hinge into flexion and the person will change levels in space from a standing position to a squatting position, then returning to standing by extending their ankles, knees and hips. When a trainees ability to perform any one of those is limited, TRAINING to flirt with the fringes of this limitation is advised. Diving head first into those restrictions isn’t advisable, however, so a simple process of limiting range of motion is advised and volume, load and intensity manipulation is recommended. There should be some corrections done for sure, and it would be silly to assume that just because we’re limiting range of motion that that would be all we do to train the movement of the individual. 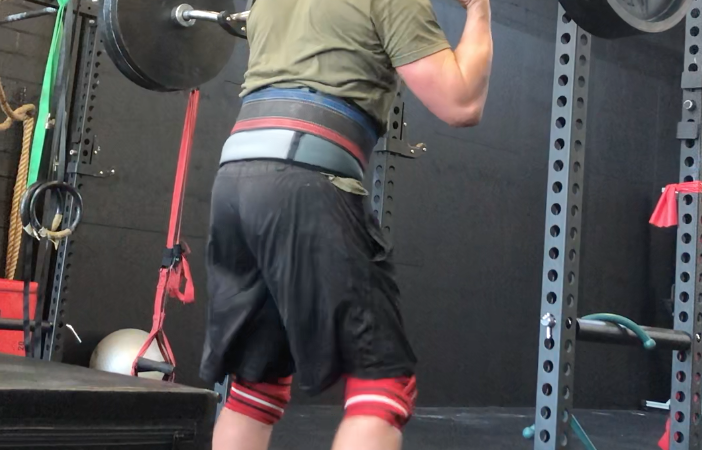 I think identifying where movement breaks down is important, creating a series of imposed range of motion limitations (such as boxes to squat to, or pins to hit, etc) to ensure those breakdowns are worked to the fringes but not pushed so far so that movement errors appear. Then corrective activities should be prescribed to allow progression and promote improvement in range of motion and movement coordination, balance and accuracy. There may be times where certain exercises are contraindicated for some trainees, these instances are discovered by performing a Movement Assessment on the individual. Long story short, find out what works for you, and figure out where you can safely and effectively demonstrate accuracy, balance and coordination and operate only in ranges of motion where this is possible for THAT INDIVIDUAL. This isn’t easy, and you will most likely need a professional and experienced coach (like myself!) to help you.